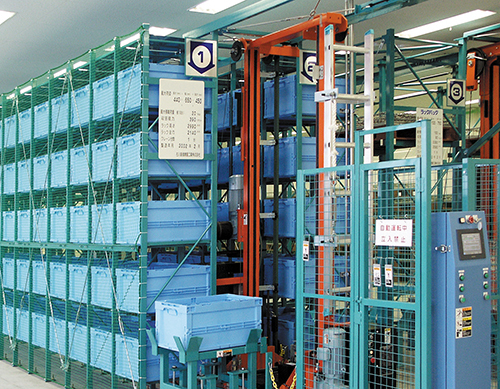 It is a vertical rotating rack by maximaizing a vertical space, and slashes the storage area. 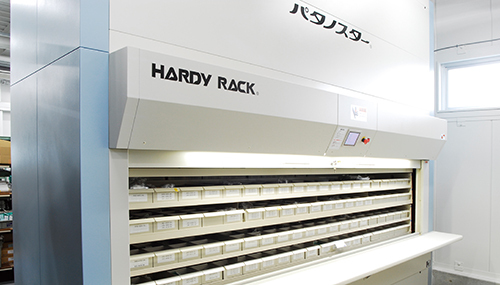 It is a automated warehouse system by unifying high rise rack and crane. 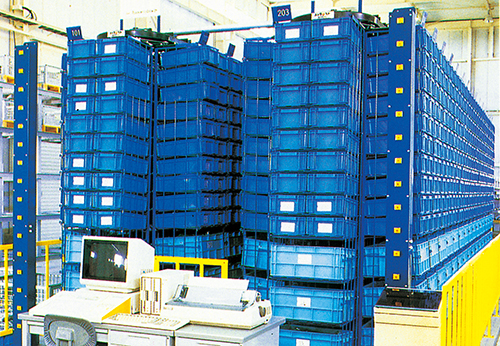 Loading and and unloading are also automated. It makes efficient space control by a variety of shelves. 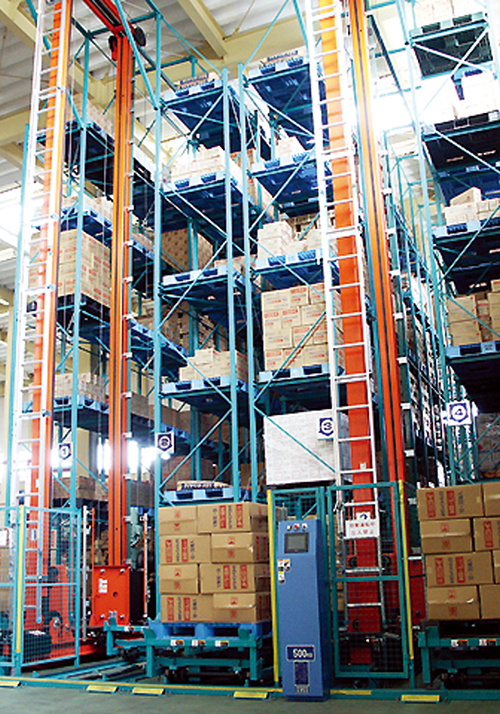 It is a multistory automated warehouse for small portion, and makes store and manage efficiently for high-mix and high-volume products.